For a limited time, Cicis adds two new Pan Pizzas, featuring a deep-dish, pan crust, to their all-you-can-eat buffet at participating locations. The chain has also added new Baked Pasta for a limited time. 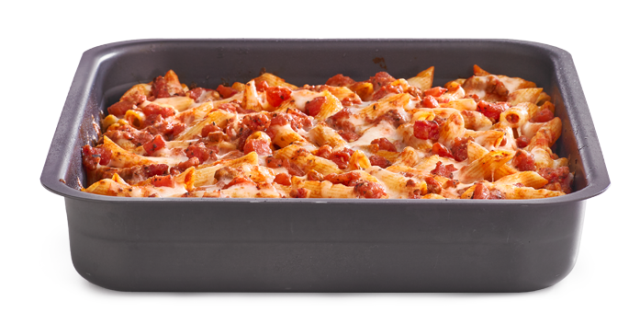 The oven-baked dish features penne pasta, cheese, sausage, bruschetta tomatoes, and red sauce topped with more cheese. Prices for the chain's buffet starts at $5.99 (varying with location).